"Sometimes in great happiness Lord Jagannatha, with His flute, makes a loud concert in the groves on the banks of the Yamuna. He is like a bumblebee who tastes the beautiful lotus-like faces of the cowherd damsels of Vraja, and His lotus feet are worshiped by great personalities such as Lakshmi, Shiva, Brahma, Indra and Ganesha. 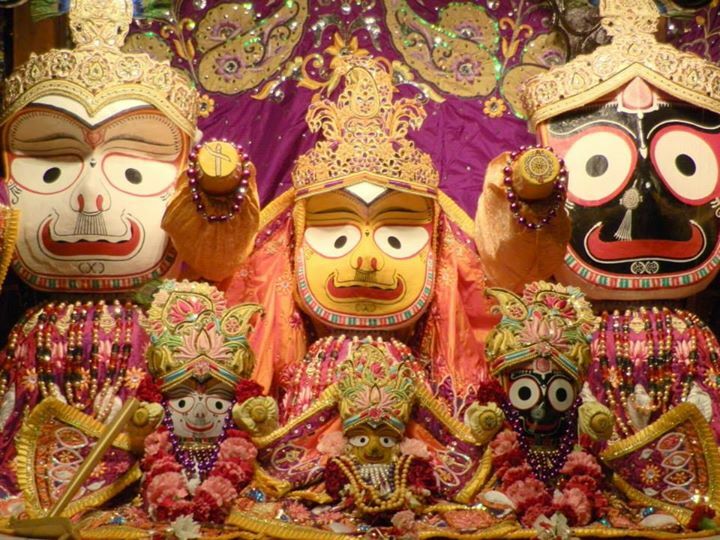 May that Jagannatha Svami be the object of my vision."